The Finns said they were out, sorry, apologies, but they wouldn’t be playing in the hockey tournament because (and I quote) ice hockey sport is too young in Finland to venture upon powerful international tryouts. 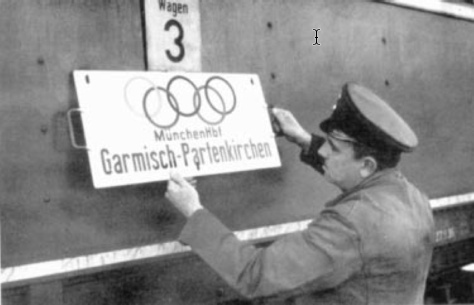 This was a week or two before the Olympics were due to open in Garmisch-Partenkirchen, if not quite the eleventh hour then maybe the tenth. The Americans were still in London at this point, losing an exhibition game to Streatham by a score of 8-4. The Canadians, having played their single European exhibition in Paris, headed on for Germany. The Germans had Rudi Ball back in their team, a dynamic forward, their best player, who happened to be Jewish, and had left the country for Paris and Milan after Adolf Hitler came to power. He’d been persuaded to return by the Reich sports leader, Captain Hans von Tschammer und Osten. Ball was scoring goals in Germany’s exhibition games in January; Captain von Tschammer und Osten was no doubt busily involved with all the last-minute Olympic preparations being reported daily in North American newspapers. Germans planning to attend events in Garmisch-Partenkirchen were being told they should go in civvies, for example: “Because the games are primarily international athletic competitions, it is the wish that spectators wear sport clothes and not uniforms.” Also: local restaurants, cafés and hotel bars could stay open until 6 a.m. for the duration of the Games. Oh, and from Munich came word that the city was at last ready to comply with a government order to remove all “Jews Not Wanted” signs from public spaces. They’d been cleared from Garmisch-Partenkirchen and elsewhere for a while, but stubborn Munich had been holding out. Italy was looking forward to the next Olympics, declaring their bid and the hope that the world would gather in 1940 in beautiful Cortina d’Ampezzo. The U.S. played in Paris, where a team of French-Canadians beat them 6-2. They did better in Brussels two nights later, dismissing the Etoile du Nord by a score of 9-5. As opposed, I guess, to the not-so-great version that, according to Phil Drackett, Canadian captain Herman Murray possessed. No-one was reporting this at the time: it was 1992 before Phil Drackett published Vendetta On Ice, a history of hockey at the German Olympics, in which he gives us a Murray who’s gruff and somewhat dour (Ken Farmer’s view) and a troublemaker (Albert Pudas’). Vendetta On Ice is a distinctly British view of the tournament, if I can mention that without impugning the author’s honour, or suggesting any outward hostility towards Canadians and their interests. Drackett says that Murray had a notoriously bad temper and a nickname to commemorate it: Needles. Unless it was Dave Neville who was Needles: he was, after all, tall and thin. Drackett does say that Alex Sinclair and Malcolm Cochran agreed with Pudas about Murray, and quotes another source to the effect that he, Murray, liked to fight, and reports that in the Canadians exhibition in Paris he got very irked when the local scoreboard styled the visiting team as “Port Arthur” instead of “Canada” — he was, you’ll recall, one of the Montreal Royals who’d been added to the corps of Bearcats — and that when teammate Bill Thomson told not to worry about it, Murray thought it might be worthwhile to fight him and the team’s trainer (also a Port Arthur man), Scotty Stewart. If that’s true, it does make you wonder how Pudas and Cochran came to name Murray to the captaincy in the first place. And was it just too late to make a change in Paris, if/when the captain started beating up teammates and support staff? January was about to turn to February. Other breaking news of the day included reporting that the German government, via their embassy in Tokyo, was demanding that Japanese publications cease from caricaturing Chancellor Adolf Hitler in print, given that he was a national leader rather than a politician and therefore, by rights, owed immunity from lampooning. but that his ideas, as reported, were offensive to the Japanese, who did not believe it was their destiny to be ruled by whites. Such utterances, he said, made it difficult to persuade Japanese newspapers to regard Hitler as exempt from the criticism to which politicians exposed themselves. 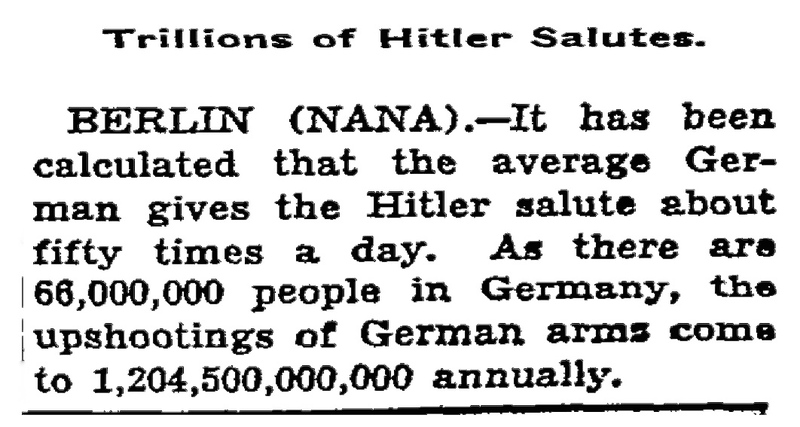 The week Hitler’s regime entered its fourth year, an industrious writer for an American wire service did some quick calculations. January 30 marked the third anniversary of the Nazis having come to power, and there were more speeches in Germany to mark the occasion. Hans Frank, minister without portfolio, said, “We do not care what the world says about our Jewish legislation.” Nazi law, he explained, took account of five cardinal factors: blood, soil, honour, labour, and the will to defend. German roller-skate authorities announced, meanwhile, that it looked like plans for adding roller hockey to the schedule at the forthcoming Berlin Summer Olympics were going ahead. The weather in Garmisch-Partenkirchen turned wet. Snow was falling in town, but it was a slushy stuff, and the bobsledders were still only feeding, and the speedskaters couldn’t practice. Back home, Ottawa had its claim on in for coldest place in Eastern Canada, at -16. Governor-General Lord Tweedsmuir was taking advantage of the weather, heading out into the snowy capital to pursue his newest passion: cross-country skiing. While Lady Tweedsmuir took a sleigh-ride, His Excellency undertook a brief but strenuous expedition with Colonel J.T. Thomson, Dominion franchise commissioner. It was only a week or two since the Tweedsmuirs had witnessed their first Canadian hockey game, in Ottawa, when the Senators beat the Montreal Victorias. The Governor-General had been impressed, reported The Montreal Gazette, smiling and applauding warmly, sitting throughout the game without a hat. The Americans arrived in Garmisch-Partenkirchen. They were tired. Their lacklustrous showing in the exhibition games they’d played since arriving in Europe had (1) allayed the fears of Canadian observers and (2) caused disquiet among American fans and officials. The two best teams in each group — eight nations — would qualify for the semi-final round, explained The Ottawa Journal to readers in mid-January. Two teams from each of those groups (for a total of four) would then advance to the final round, wherein a winner and three runners-up would be determined. Canada’s first game was slated for Thursday, February 6: right after the opening ceremonies, they’d lace up for a meeting with Poland. Weeks before the Canadians arrived in Germany, The Globe and other Canadian papers ran this strangely gloomy illustration. The Americans said they were due to give their northern neighbours a surprise in the hockey tournament. Some Americans did. Boston’s Daily Globe called the Canadians strongly favoured. Olympic previews published back home in the Hope, Arkansas Star, for instance, noted that while the U.S, team was the only one likely to give the Canadians a run for their money, they weren’t exactly lighting up the continent. The Ottawa Journal was picking Canada and the U.S. to make the final four along with Germany and either Sweden or Switzerland. J.F. 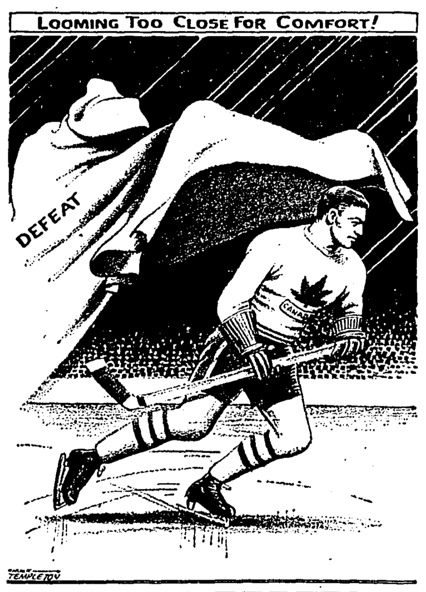 Fitzgerald from The Toronto Telegram was looking at the U.S. to come in third, with the Great Britain or Switzerland in second. The British, of course, had so many Canadian-trained players among them that they were more or less a second Dominion squad, which was why it would be nice to see Canada and Great Britain to run one-two. Erwin Schwangart was on the ground for The Globe, and on the eve of the Games getting going, he talked to several Canadians about how they thought the hockey tournament might unfold. One of these was Canadian baking mogul W. Garfield Weston, who’d made the journey over from London where he was working; another was Val Hoffinger, who’d grown up in Saskatchewan and played a bit for the Chicago Black Hawks in the late ’20s. 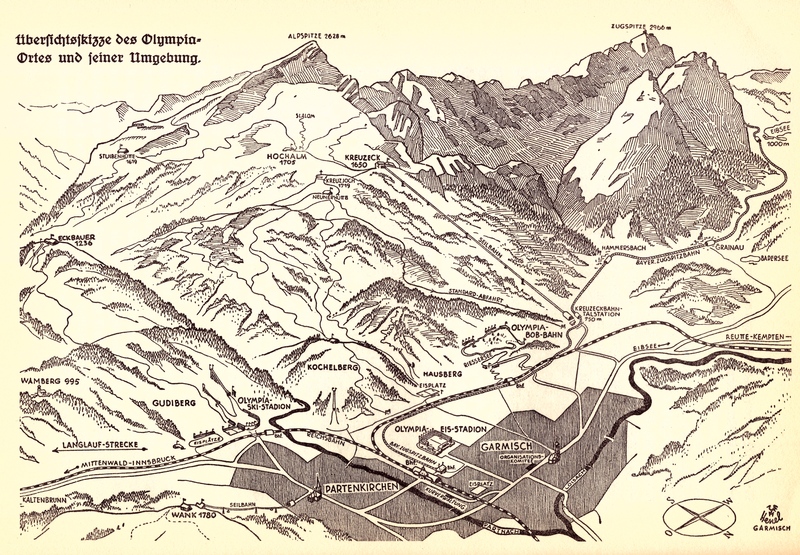 “Hoffinger gave Canada the nod for first place by a wide margin,” Schwangart reported two days before the Olympics opened. A generous opinion, given that Hoffinger was coaching the home team, Germany. He’d been working hard to prepare his team of fourteen players, most of whom he’d had together for six weeks. Hoffinger had put together a second team, strengthened with four Canadians, to test Rudi Ball and the rest of his charges. Hoffinger didn’t think much of the Americans: he looked to the Swiss and the British to be battling for second. Hoffinger explained that this came as a consequence of the refusal of the attacking players to penetrate the defence from close range. They favour a big swerve toward the corners. Watching some of the practices I could conceive easily that he is trying to teach the boys how to shift but it seems to be rather hard for the players to accomplish this, as they are not natural players, but just play according to teaching. They, just as the rest of the European players, have a tendency to grab their opponent’s stick. King Gustav stopped by in Berlin to visit with Hitler. The Swedish monarch was on his way to the French Riviera for a winter break. With the German chancellor preparing for his departure for Bavaria, I suppose it’s possible that the two of them talked some winter sports, maybe even some hockey. Though nobody was expecting too much from the Swedes, even though they, too, had a Canadian coach — Vic Lindquist, from Winnipeg, who’d won a gold medal playing for Canada at the 1932 Olympics in Lake Placid. Nazis said later — some Nazis — that it wasn’t until Hitler’s train pulled into the station at Garmisch-Partenkirchen that the serious snow began to fall, but in fact the winter weather arrived before the Reichskanzler. Monday, February 3, was when temperature dropped and thick snow mantled the town. Even the sulking bobsledders emerged, said The Daily Boston Globe. 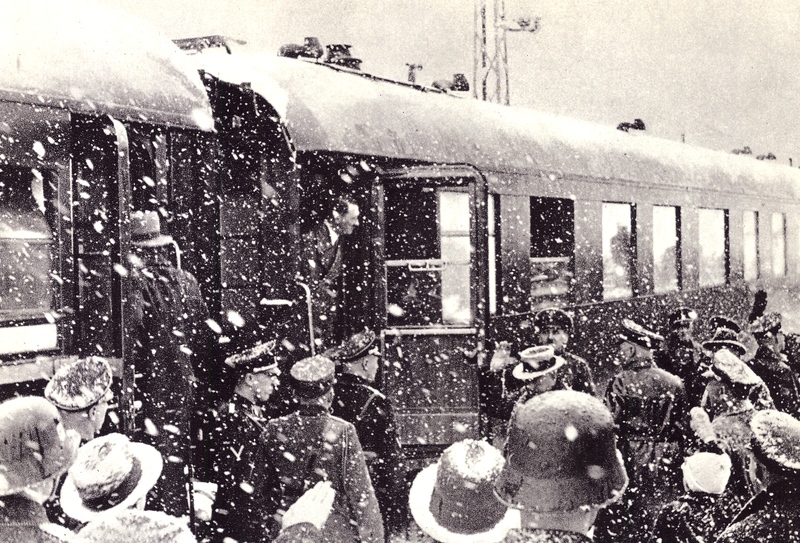 Snow Train Coming: Adolf Hitler arrives in Garmisch-Partenkirchen on February 6, 1936.